University of Ibadan, UI Admission Disclaimer Notice on Advertisement of Some Undergraduate and Postgraduate Programmes Purportedly Run by the University of Ibadan Consultancy Services. 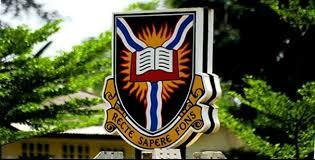 The attention of the University Administration has been drawn to the advertisement of some Undergraduate and Postgraduate Programmes purportedly run by the University of Ibadan Consultancy Services. We wish to inform members of the Public that the University is not aware, and is not involved in such programmes. Members of the public are advised to visit the University web site www.ui.edu.ng for any academic information or contact the Deputy Registrar (Academic) and Dean of the Postgraduate School, respectively for enquiries on Undergraduate and Postgraduate Programmes of the University.